Do you have ancestors who fought in the Revolutionary War? Now is the perfect time to learn more about them, as Fold3 is giving free access* to our Revolutionary War Collection July 1–15. The records in this collection include entire pension files for soldiers and sailors who served in the Revolutionary War. Unlike selected records, which were typically chosen subjectively for genealogical content, these records reveal more details about each veteran’s history and service, as well as more information about his family, state of health, and life after the war. Every name mentioned in the pensions has been indexed, not just the soldier’s name, which makes finding people even easier. These are compiled service records for the regular soldiers of the Continental Army, and for the militia, volunteers, and others who served with them. The records are arranged under the designation “Continental Troops” or a state name, then by organization, and then alphabetically by a soldier’s surname. Records consist of card abstracts of entries relating to each soldier from original records. Also included are regimental lists including muster rolls, pay lists, and caption cards. The primary function of the many Revolutionary War rolls maintained by the American Army was to provide basic information about the identities, numbers, condition, equipage, and pay status of the men and units that comprised the Army in order to facilitate administrative control. Browse these rolls by state and name of organization (regiment, battalion, guard, company, etc.). Find names of soldiers with the help of annotations supplied by other Fold3 users and feel free to add your own. Thousands of records from 138 rolls of microfilm provide names and details about the men who fought for independence. Pension payment records are not typically found in pension application files. These cards were created as an index for the final payments made to either the veteran or his widow. They provide additional details on where a family may have moved in the early- to mid-19th century, death dates of veterans, widows, or dependent children, and sometimes the maiden name of a widow. 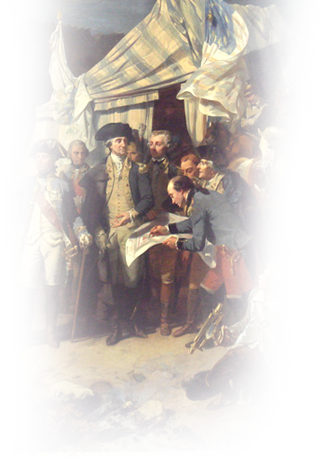 Get started searching or browsing the Revolutionary War Collection on Fold3!. *Access to the records in the featured collections will be free until July 15, 2017 at 11:59 p.m. MT. Free access requires registration for a free Fold3 account. After the free access period ends, you will only be able to view the records in the featured collections using a paid Fold3 membership. interested in representing all that I can. Thank you so much for access ! !